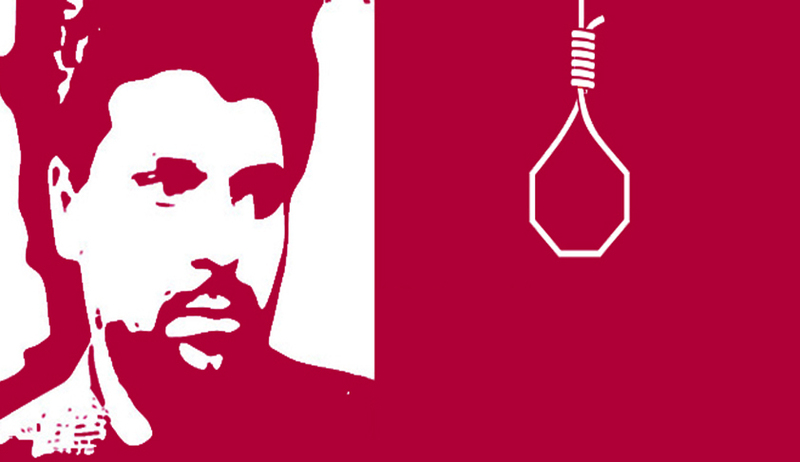 Yakub Abdul Razzak Memon was hanged to death in the Nagpur Central Prison, on his 53rd birthday, as a theatrical culmination to the unprecedented legal action last night. He was hanged at 6:43 am. At around 5 am, the Apex Court rejected Memon’s mercy plea, observing that a stay on the death warrant could be a travesty of justice since ample opportunity was provided to Memon, after the rejection of the first mercy petition. Justice Misra emphasized on the point that Memon’s review petition was heard for ten days, when law mandates a hearing of only half an hour. Memon’s lawyers demanded that he must be given 14 days as mandated by the Supreme Court to meet family members, prepare his will and make peace with god before the execution of his death warrant. Attorney General Mukul Rohatgi argued, “Petitioner's idea is to delay the execution by 4-5 years on death row & then seek commutation alleging inordinate delay.” He called the entire procedure to stall the execution a ‘game’. The Bench comprising Justice Dipak Misra, Justice Amitava Roy and Justice P.C. Pant agreed and observed that granting further time was not necessary in the present case. Memon’s lawyer Anand Grover questioned as to how the President could have rejected Yakub’s fresh mercy plea in such a short time. He further argued that according to rules, the nearest legal centre must be contacted the day mercy plea gets rejected. That did not happen. Further, the petition by Yakub's lawyers faulted the rejection of mercy petitions by the President and the governor for non-application of mind as the new clemency petitions sought commutation of death penalty to life imprisonment on grounds which were different from the reasons cited by Yakub in 2013 while seeking mercy from the President. Memon’s lawyers further alleged that the authorities were "hell bent" on executing Memon without giving him the right to challenge the rejection of his mercy petition by the President as right to life of a condemned prisoner last till his last breath. The bench said the AG had submitted that at the drop of a hat one can add new challenges and developments and expect the President to act in exercise of power under Article 72 and thereafter on rejection of clemency they would challenge that in a court of law. "We will be failing in our duty by allowing so," it said. In the order, the bench said the execution was "inevitable" after rejection of the mercy petitions. "The President rejected after due consideration of all relevant facts... 22 years have passed since the incident... there is no error in judgments passed by this court," Justice Misra said, dismissing Memon's last appeal before the Supreme Court. Memon’s lawyers had knocked the doors of the Supreme Court after this mercy petition was rejected by President Pranab Mukherjee last evening. The President took his final call late on Wednesday night after consulting home minister Rajnath Singh, who said there was "no rethink" on the death sentence. Come midnight, Supreme Court Registrars converged at the Chief Justice of India H.L. Dattu's residence to convene a Bench to hear this petition. At a quarter to 2 a.m., the CJI decided to let the Bench headed by Justice Misra to hear the matter. It had only been a few hours since the same Bench dismissed Memon's plea to stay his execution on his birthday. Outside Justice Misra's residence, the lawyers were told to go to the Supreme Court where the matter would be heard in open court at 2.30 am. The petition was heard in Court Room 4 which was opened for an unprecedented 90-minute hearing that started at 3.20 AM and ended a little before dawn. Reacting to the verdict, Mr. Grover said that it was a tragic mistake and a wrong decision. “I hope he had a dignified death,” he added while the gallows were being prepped for Memon. On the final day, Yakub was woken by jail authorities around 4am, permitted to bathe and say his prayers, before he was led to the gallows. A constable who executed 26/11 attacks convict Ajmal Kasab at Pune’s Yerawada jail in 2012 carried out the execution. According to reports, additional DGP Meeran Borwanar, jail superintendent Yogesh Desai, a medical officer and few others were present at the hanging yard. This was the 21st hanging at the Nagpur central jail since independence. Memon’s body will be taken out of Nagpur prison at 11 am. He offered Namaz and read Quran before being hanged. Preparations to bury Yakub after his execution are underway at Mumbai's Chandanwadi graveyard. As per Indian Express reports, a pit had been dug inside Nagpur jail in case security protocol requires a change of plan, though the Mumbai burial stands scheduled. Memon, a Chartered Accountant by profession was awarded the death sentence by a special TADA Court in Mumbai on July 27, 2007 for his role in the serial blasts, including arranging finances for carrying out the 13 serial explosions which left 257 dead and over 700 injured across the city on March 12, 1993. In 2013, Supreme Court had upheld the TADA Court verdict convicting Memon for his role in the Bombay blasts. Yakub, who was stated to have owned an export firm, allegedly handled his brother, gangster Tiger Memon’s, funds. He was accused of having funded the training of 15 youths who were sent to Pakistan for training in the use of arms and ammunition and funding the escape of the family following the blasts. The Memon family, including Yakub, had fled Mumbai before the blasts. Though the exact circumstances leading to his arrest remain shrouded in controversy, it is widely believed that after meeting with his family lawyer in Kathmandu in July 1994, Yakub was set to return to Karachi after being told that he was unlikely to get much mercy if he did surrender to Indian authorities. But he was caught with multiple passports at the Kathmandu airport that eventually led to his arrest by the Indian authorities. Another version has it that Yakub Memon decided to return to India from Pakistan in 1994, protesting his innocence, and he turned himself in to the Indian authorities. The police however have claimed that Memon was arrested. Memon is the only one of 11 people whose death sentence in the case has been upheld. The sentences of the others were commuted to life imprisonment.